April 1, 2019 RF Tyler Goeddel assigned to Harrisburg Senators from Fresno Grizzlies. March 13, 2019 Washington Nationals signed free agent OF Tyler Goeddel to a minor league contract. 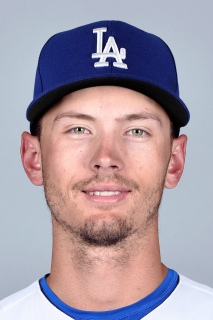 March 13, 2019 RF Tyler Goeddel assigned to Fresno Grizzlies. November 2, 2018 RF Tyler Goeddel elected free agency. September 1, 2018 RF Tyler Goeddel assigned to Oklahoma City Dodgers from Tulsa Drillers. August 14, 2018 Tulsa Drillers placed RF Tyler Goeddel on the temporarily inactive list. June 21, 2018 Tulsa Drillers activated LF Tyler Goeddel from the 7-day disabled list. June 13, 2018 Tulsa Drillers placed LF Tyler Goeddel on the 7-day disabled list. May 17, 2018 Los Angeles Dodgers signed free agent LF Tyler Goeddel to a minor league contract. May 17, 2018 LF Tyler Goeddel assigned to Tulsa Drillers. May 14, 2018 Louisville Bats released LF Tyler Goeddel. March 10, 2018 LF Tyler Goeddel assigned to Cincinnati Reds. July 22, 2017 LF Tyler Goeddel assigned to Louisville Bats from Pensacola Blue Wahoos. May 21, 2017 Pensacola Blue Wahoos activated LF Tyler Goeddel from the 7-day disabled list. May 15, 2017 Pensacola Blue Wahoos placed LF Tyler Goeddel on the 7-day disabled list retroactive to May 14, 2017. May 3, 2017 LF Tyler Goeddel assigned to Pensacola Blue Wahoos from Louisville Bats. April 7, 2017 Cincinnati Reds sent LF Tyler Goeddel outright to Louisville Bats. April 5, 2017 Cincinnati Reds claimed LF Tyler Goeddel off waivers from Philadelphia Phillies. April 5, 2017 Cincinnati Reds optioned LF Tyler Goeddel to Louisville Bats. March 31, 2017 Philadelphia Phillies designated LF Tyler Goeddel for assignment. March 24, 2017 Philadelphia Phillies optioned LF Tyler Goeddel to Reading Fightin Phils. December 10, 2015 Philadelphia Phillies claimed Tyler Goeddel off waivers from Tampa Bay Rays. April 6, 2015 LF Tyler Goeddel assigned to Montgomery Biscuits from Charlotte Stone Crabs. March 30, 2015 3B Tyler Goeddel assigned to Tampa Bay Rays. April 1, 2014 3B Tyler Goeddel assigned to Charlotte Stone Crabs from Bowling Green Hot Rods. September 5, 2012 Bowling Green Hot Rods activated 3B Tyler Goeddel from the 7-day disabled list. August 31, 2012 Bowling Green Hot Rods placed 3B Tyler Goeddel on the 7-day disabled list retroactive to August 29, 2012. April 4, 2012 3B Tyler Goeddel assigned to Bowling Green Hot Rods. August 15, 2011 Tampa Bay Rays signed 3B Tyler Goeddel.